The disposal of electronic wastes is an important and effective way to protect nature from being totally damaged. 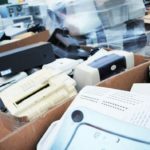 This is the reason why most environmental experts these days are advocating proper disposal of old computers, printers, and mobile phones. Why? They contain toxic chemicals. They must be recycled and reused. Otherwise, they can pose more threats to the environment. Different states and cities have local laws relevant to the proper disposal of electronic waste or e-waste. 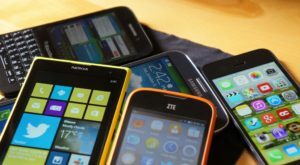 All Green Electronics Recycling has been advocating the same thing. Thus, we have this Electronics Recycling Collection Event in Hidden Hills Rd., Laguna Niguel, California. This event is promoting Clean and Green Environment. Hidden Hills Elementary School has teamed up with All Green Electronics Recycling to host the electronics recycling collection event. Members of the community and businesses can take the opportunity to clean out their garage or store room, and donate their unused electronics to a good cause. The event is designed to give residents and businesses the opportunity to properly dispose of electronics waste, which includes computers, laptops, monitors, keyboards, copiers, VCR’s, fax machines, cell phones, printers, scanners, hard drives, stereo equipment, cables and cords, shredders, microwaves, and more. All Green Electronics Recycling recycles everything it accepts and nothing ever goes into a landfill. More importantly, materials are NEVER sent to be processed in developing nations–everything is done right here in North America!